There is a petition calling for Philip Davies, MP for Shipley, to be recognised as a leading MP for fairness & justice. As a tireless campaigner for genuine and useful equality, his record shows that he fights against both misogyny and misandry and is one of the rare politicians to represent everybody in his constituency regardless of ideological bias and hate thrown at him for exposing the truth about issues. As Philip Davies is able and willing to acknowledge the existence of sexism and discrimination in British society and to explain whether it is misogyny or misandry, we believe that he is consequently able to defend and stand up for all males, as well as care for children and women. We therefore urge Mr. Davies to look for a long and successful career and urge Theresa May, his Party Leader and Prime Minister, to promote Philip Davies to high office. As William Collins says, society is getting too used to prominent men being punished for stating truths, or expressing well founded opinions. It is time this stopped and with Mr Davies, we can be sure of someone who will not capitulate, who will not apologise for acting in the best interests of ALL his constituents. Like me, you need not support all of Philp Davies’ politics but we need to stop the harmful precedents of censorship and silence. Please sign the petition as your stance against totalitarian raging. Once you have signed, pass along news of the petition to support an elected member of parliament being able to expose the truth and draw logical conclusions from it. 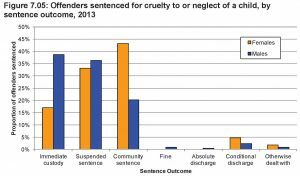 And Corbyn has asked for him to be suspended for the grotesque crime of… stating the truth that men are treated more harshly by the criminal justice system. And despite Baroness Corston’s “I have this singular example therefore you’re wrong” evidence – nothing Phillip said was untrue. Cue the young upper-class white feminists eating cake. Oh, those empowered wags. I wonder if any of them actually truly believe that the law treats women worse than men? I strongly suspect they know it doesn’t, but accepting the reality they see around them every day might mean the dogma of feminism would collapse under it’s own hyperbole and fantasy, and we can’t have that, can we? Telling that this is one of those Guardian articles which does not allow comments, isn’t it? 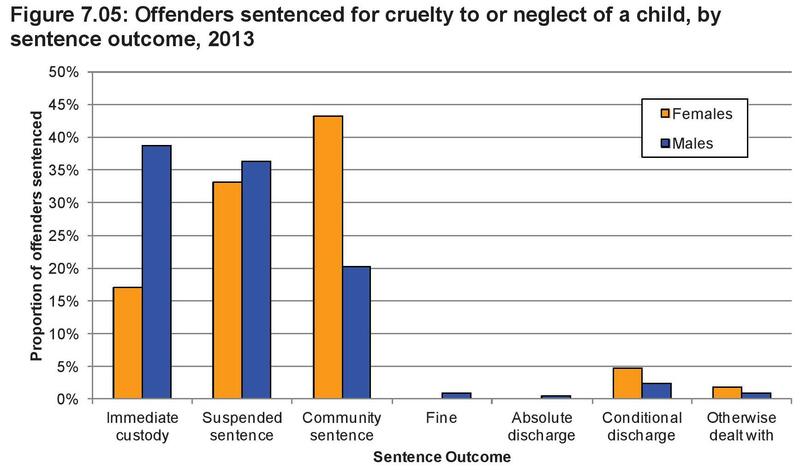 The 0.2 month disparity in sentencing cited by Baroness Corston may have a very simple explanation. 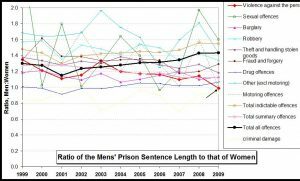 If it is true that men are sentenced more harshly than women for the same crimes, and knowing that many more men are sent to prison than women, then we can speculate that the women who receive a prison sentence had to be found guilty of a higher level of violence than a significant number of the men. The only way to know whether or not this is so would be to directly compare the actual crimes committed and not just the sentences. 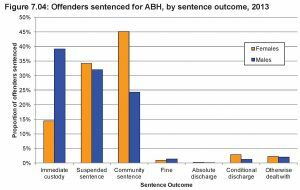 It could also be because a greater proportion of male prisoners die in prison, and their time served ends with their demise. I don’t have the research time (busy on the petition) but you could try an FOI request to dig into the data. In which we learn that women steal food “for the children”. Of course they do, obvious really – although William would like to know the source of the information. I can assist him here perhaps. The source of the information is the baroness’s vivid and inventive imagination. The ‘outrage against Phillip Davies’ spech is revealing and disturbing. 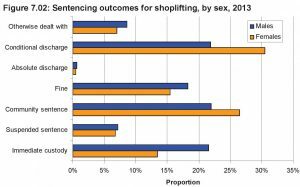 I think the case that there is a strong bias in favour of women and against men in the criminal justice system is overwhelming but that is beside the point. 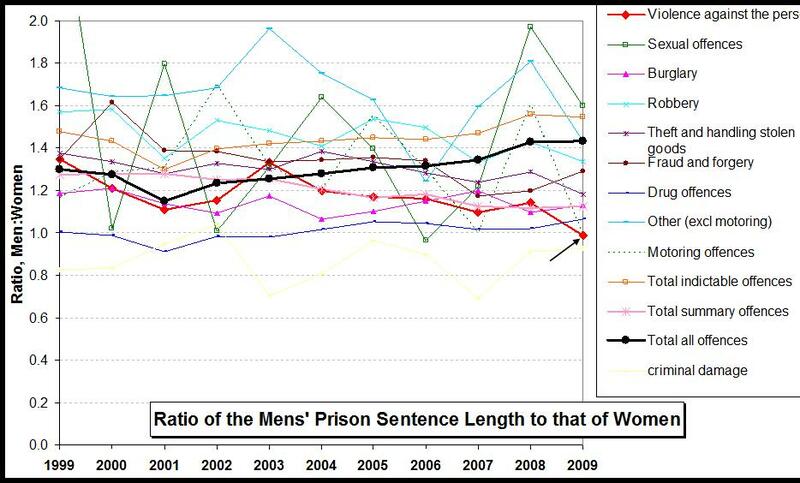 He presented an argument about a topic of legitimate concern – bias in the treatment of those convicted of an offense. 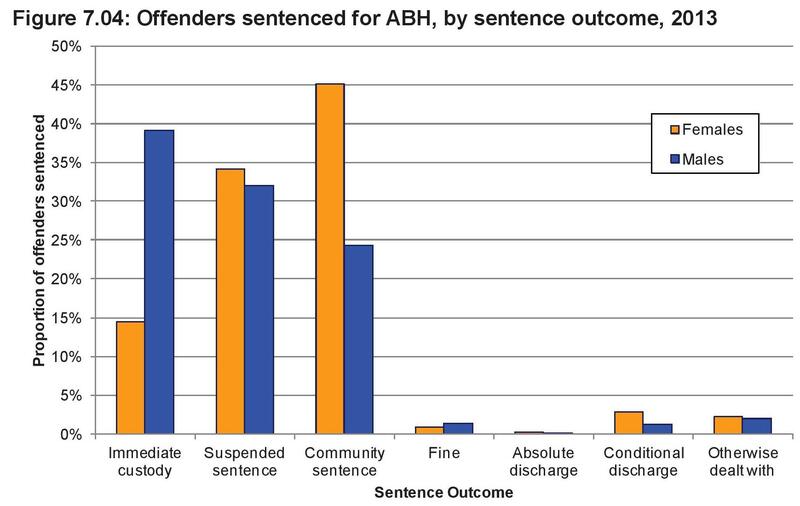 His case was based on statistics for which he identified the source and were apposite. He raised the issue in a calm and considered way and did not advocate rash or illegal actions. It was in short a model of how issues should be raised by a politician or anyone else. It has been met by accusations of misogyny by Senior politicians and in at least some sections of the press by outrage without any attempt except by the baroness to refute his argument. Once the issue has been raised to prominence it should be the case that the arguments and evidence are presented more widely. I expected for this reason he would simply be ignored but instead he has been widely attacked without any regard to what he actually said. This a critical moment, if he is punished by the conservatives the message is clear, any publically expressed dissent from orthodoxy however well grounded and carefully presented will damage the career of those brave enough to present it. If he is not punished then the publicity raised and the numbers who will as a result viewed his presentation will be it’s own reward. This is important and not just for mens rights. There are plenty of political opinions I strongly disagree with, many as it happens held by Phillip Davies, but as long as they are expressed reasonably and especially if backed by evidence then it is important that they should be expressed. All political parties seem in head long retreat from any sort of debate or rstional argument in favour of presentation and emotion. It is a dangerous trend which this incident exemplifies. The precedents of prominent men being punished for stating truths, or expressing well founded opinions, are now well established. The more precedents there are, the more men (and women) will be frightened to speak up. The fear of punishment is not merely a fear, but real. There is a name for a society which succumbs to this dynamic – totalitarian. Further symptoms which confirm the disease are: an ever increasing prison population, especially as regards people in the chosen ‘out group’, and, increasingly draconian policing in which arrests are made without investigation, police invent new ‘laws’ which impinge on civil liberties, and the ‘in group’ call for suspensions in due process. If the diagnosis is totalitarianism, let us consider the prognosis. What has been the fate of totalitarian societies throughout history? Though I agree facts and logic are certainly only a part of the solution. But they are and important part because the “thinking we used when we created them” was not logic and certainly not facts. Of course Mr. Davies gains publicity through colourful language and the reporting is generally a tumbling out of white knightery and scoffing. Yet still an issue long held back in the shadows is exposed and some will follow through and see the Baroness’ s dissembling. One of the very great mistakes the public make about public services, is to assume that they are aware of lots of information and thus plot. After 30 years in public services I know this is an illusion. There is little real analysis done and unless pushed even basic facts will be quite unknown by officials. Mr. Davies facts come from the researchers in the Parliamentry Library using Gov. Department Statistics. The often excellent reports done for MPs rarely work there way into Gov. Agencies unless pushed by public debate. Indeed a simple FOI to and agency querying the gender split in their data can reveal this to them in producing the FOI response. 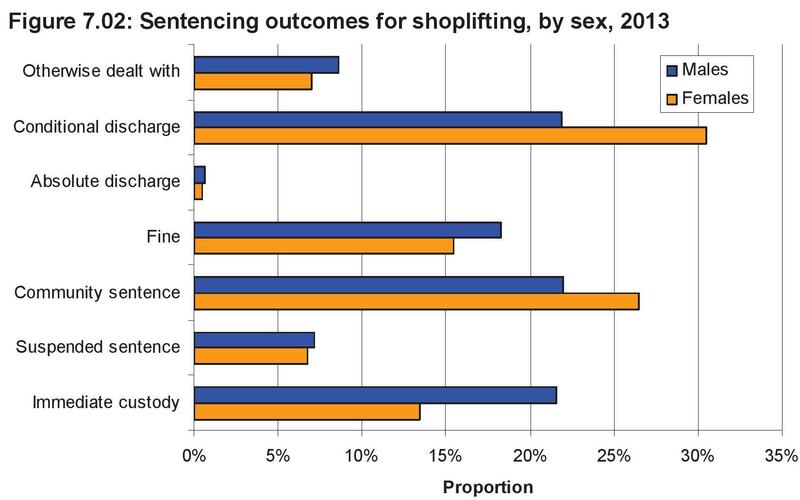 Although it is in the Law (Equality Act and public services Equality Duty) in fact apart from the policy areas covered by the violence Against Woman and Girls Strategy public bodies very rarely do any gender analysis of their own data. And so a great deal of what drives public agencies is the sort of flimsy opinion pieces such as the Corston Report. Why isn’t the baroness ousted for being the true liar here? Is it because, as a feminist, she is privileged and she is allowed to spew her hatred and lies with impunity? Only facts were reported by Davies and FACTS are not bias or wrong. Only in the insane world of the criminal feminist can you find this repugnant logic that isn’t. When will you people finally have enough? WHEN???????? Philips Davies levels the charge of Hypocrisy. Completely accurate in this case. 30 years ago is was feminist academics in Law who “discovered” the higher tariffs for males. Really by being the first to actually look at the data. there has subsequently been a good deal of research in the English speaking world. It was this research that led to the idea of “benign sexism” in feminist theory both the account for preferential treatment of women and to suggest that this preferential treatment undermined women being taken seriously. Put simply males are treated as if they are moral agents, capable of good and bad and females as subject to the will of others or illness. If you could bear to read it the Baroness’s report is in fact an exposition of benign sexism. As such it should (and one thinks may well have been had it been a Baron) be comprehensively criticised for the obviously deeply traditional view of women as the weaker vessel.